Concrete mixer pump is an updated concrete construction equipment, and lots of customers tend to choose a concrete mixer with pump nowadays to help their works. 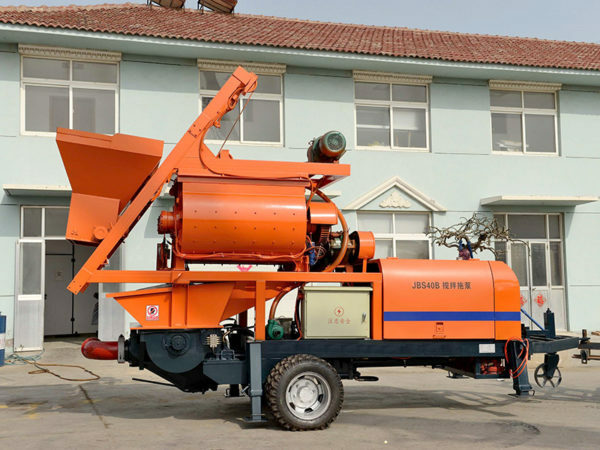 People who are unfamiliar with a mixer pump may wondering why investors are likely to spend money to buy this equipment, which shall basically owes to the high availability and low investment of a concrete mixer and pump. Among so many concrete mixer pump manufacturers all over the world, Aimix Group is widely admired with long pump manufacturing history and rich experience. Our concrete pump mixer has wide application, abundant advantages, good mixing quality and stable conveying performance. Diesel concrete mixer with pump utilizes diesel to finish the whole working process, and we Aimix Group offer different models to choose, such as JB30, JB40 and HBT0804 concrete pump. 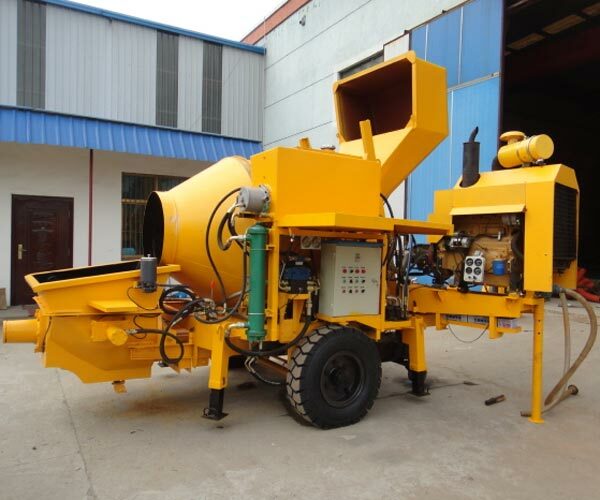 For areas that are rich in diesel energy, diesel concrete mixer with pump will be the best choice. 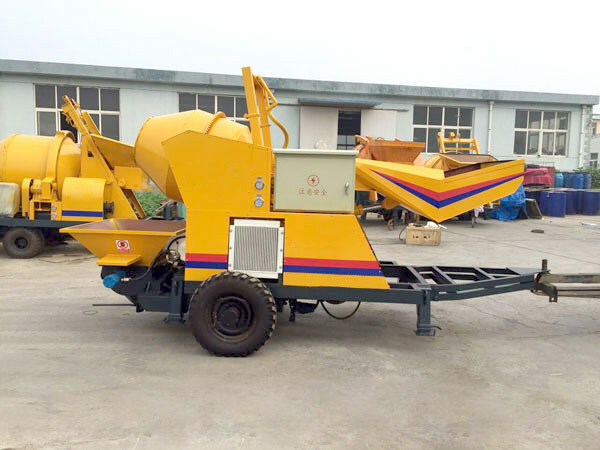 Of course, users often choose the portable concrete mixer with pump with their energy utilization habits, such as diesel concrete mixer pump and electric concrete mixer pump. In contrast, JBS10, JBS30 and JBS40 are the hot model of our electric concrete mixer pump, and the diesel and electric concrete mixer pump price is totally acceptable. Cement mixer pump is generally a kind of mobile concrete mixer with pump, which can be moved and transferred easily with tires. In short, cement mixer and pump generally consists of a mixing drum, the main chassis and conveying pipelines. In its way of motivation, concrete pump and mixer can be divided into electric concrete mixer pump and diesel concrete mixer with pump. 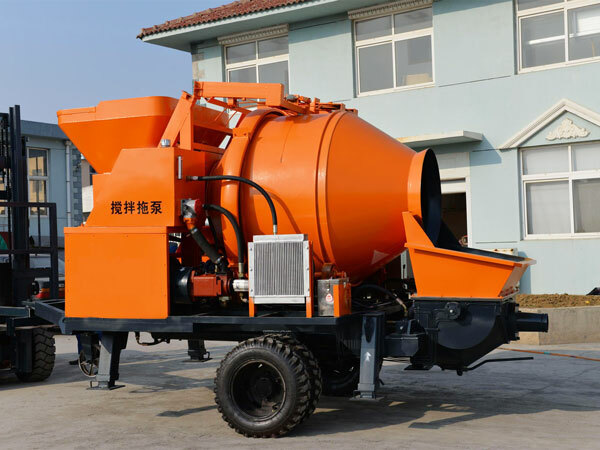 Mini concrete mixer with pump is generally applicable for the construction and reconstruction of high-rise buildings, bridges, tunnels, squares, and even small yards. 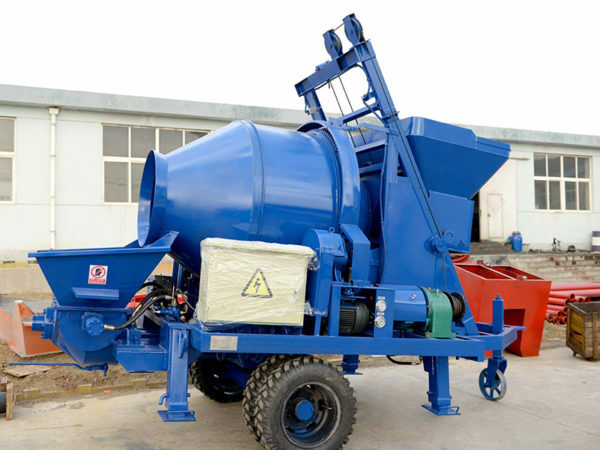 With a small concrete mixer with pump, concrete mixing and conveying can be totally finished through tools instead of labor work. 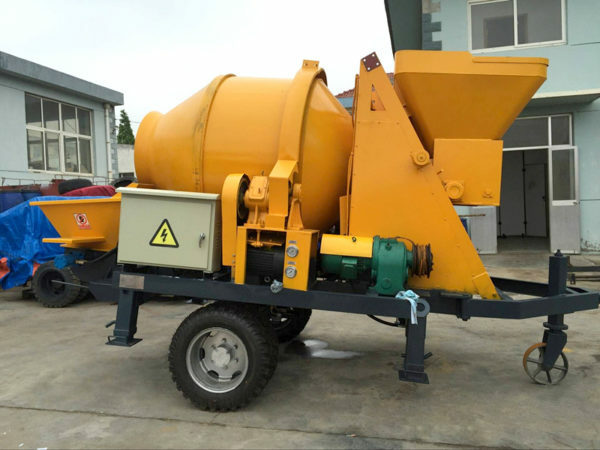 For people who seek for short construction period and less labor work, concrete mixer with pump for sale can totally fulfill your requirements. With the guidance of professional technician, our concrete mixer pump adopts the most reasonable design and high quality components, which largely enhance the performance and prolong the service life of the equipment. Besides that, our small concrete mixer and pump can be stored in containers and exported to any countries easily and conveniently. With the certificates of CE, ISO and SGS, it is no need to worry about the quality and pump of our small concrete mixer and pump. Our concrete pump has long vertical and horizontal conveying distance, which can totally meet your construction requirements. More importantly, our professional salesman will provide you with different options, or even customize the pump with the actual demand of your works. Of course, our concrete mixer with pump price is very reasonable and affordable than other concrete mixer pump manufacturers available on the market. Located in China, Aimix Group has engaged in the production of concrete mixer pump for almost 30 years, and we hope to establish long-term cooperation relationship with customers and investors all over the world. Up to now, our concrete mixer with pump has been exported to many countries, such as, Pakistan, Philippines, Malaysia, the United States, Australia, Canada, Vietnam, Jordan, Ethiopia, Uzbekistan, Sri Lanka and so on. 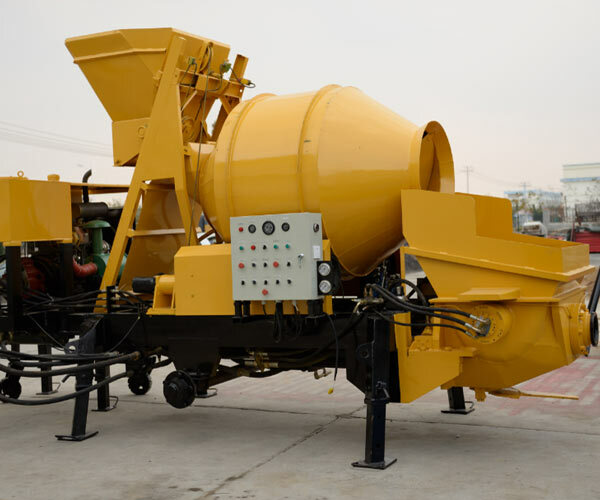 Our concrete mixer with pump also received high praise by our customers because of its high working efficiency, stable performance and low failure rate. In addition, we also produce stationary concrete batching plant, asphalt mixing plant, block making machine, diesel concrete mixer and other construction equipment. 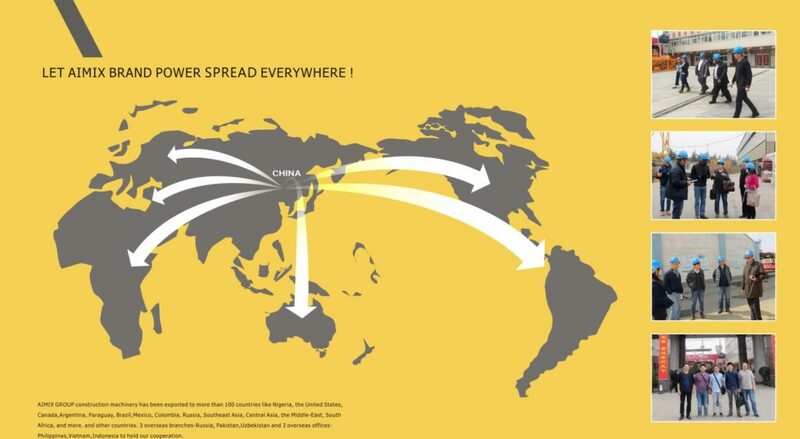 If there is any demand, welcome to contact us at any time to get a free inquiry.